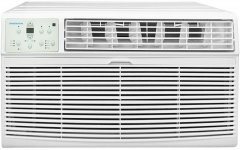 Though it is technically possible to install any air conditioner through the wall, models shown here have to be specifically designed as wall air conditioners and labeled as such by their manufacturer. 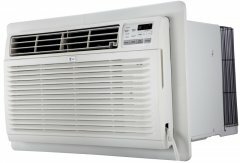 The Koldfront WTC8001W is a through the wall air conditioner that gets the ball rolling with its relatively-high 9.6 EER rating (aka energy efficiency ratio) and 350-square-feet coverage area. It also features a 24.2-inch hole width (14.5-inch height), giving it one of the most-expansive window holes in the through-the-wall AC category around the time of this write-up -- some of its through-the-wall contemporaries have only roughly 19-inch holes, but they do try to make up for this setback in other aspects. Speaking of other aspects, the WTC8001W's 8000 BTU rating sounds a tad problematic at first glance, seeing that a number of air conditioners with tantamount cooling/heating areas have 10000 BTU ratings or higher. 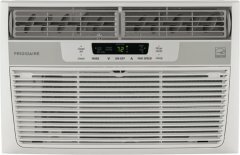 With that in mind, maybe efficiency is the name of the game for the WTC8001W, since after our ranking algorithm weaved through a total of 6069 reviews, it found not even a single 1-star rating and the 2-star ones making up only 2 percent of its total review count as we were writing this. 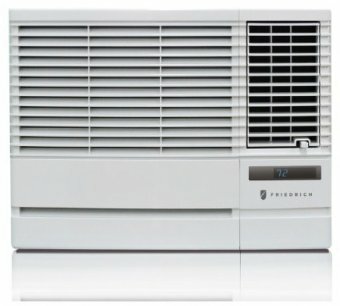 Some of its top reviewers -- the ones that gave it 5 stars, that is -- commended the WTC8001W's ability to live up to its promised cooling/heating coverage of 350 square feet and relatively quiet operation. 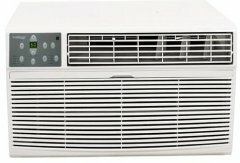 Some buyers were not very impressed by the heating feature, most of them essentially concluding that the heating feature is really just back-up heating -- the a/c being the true personality of this wall unit. 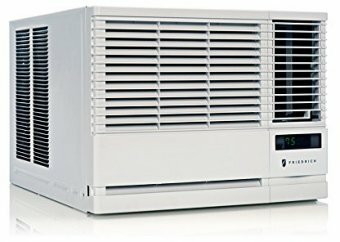 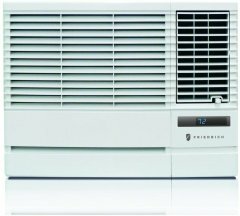 Sitting at the top and earning a 97 confidence level (More on confidence levels), the WTC8001W is not a perfect wall-mounted AC by any measure (in particular not for heating, apparently), but it seems like your current best bet for cooling, according to our comprehensive ranking system (Learn how we rank items). 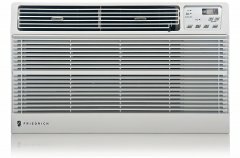 Based on 4 stars averaged over 42 reviews, here is what we consider second best wall air conditioner. * These choices are based on a full computation of hundreds of wall air conditioner reviews from around the web. 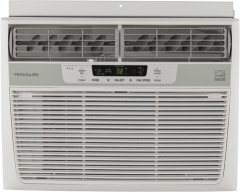 Why is a higher score ranking under a lower score?